I often have patients come in to my clinic in Tulsa complaining of thyroid problems and they need a good thyroid doctor. Sally started feeling bad a couple of years ago and went to her primary care doctor who checked labs. He checked a TSH and a couple of other baseline labs and tells Sally that everything looks good. Sally voiced her concern about how fatigued she was, that she can’t lose weight, and she just feel bad. Her doctor considered medication to treat the symptoms of Sally’s thyroid problems but he does little to address the underlying concern. Now, keep in mind that Sally is less than 40 years old! (40 isn’t “old” by the way!!). How insulting is that comment, right? Sally didn’t like what she heard and insisted that something was wrong with her thyroid. The next step is often an endocrinologist. This is a huge mistake! Why? Because most thyroid problems are well within the realm of primary care and endocrinologists are often very dogmatic and militant about their approach to simply hypothyroidism. I’ll tell some of the stories I’ve heard from patients in another post. It is maddening! Some doctors will actually check more labs than the basic TSH. Occasionally they will check a Free T4. If you get one that is being very comprehensive they may even check a Free T3. Regardless, it is not uncommon for patients like Sally to hear that their labs are all “normal” leaving them further frustrated. However, sometimes their labs may be just enough outside of the reference range that they are actually prescribed thyroid medication. Finally! Sally started to feel like she is finally going to get better. There is finally some hope! 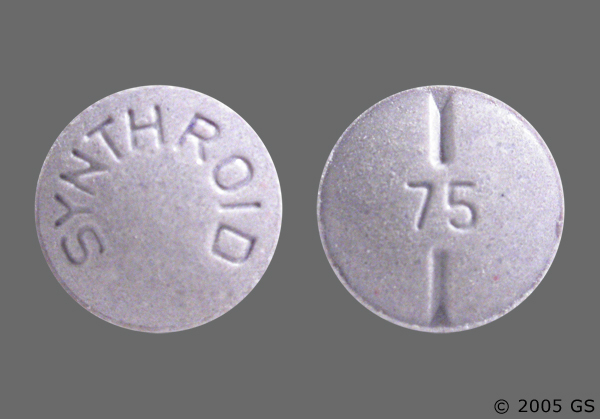 Sally was prescribed Synthroid – a T4 thyroid hormone chemical. It is also known as levoxyl, levothyroxin, and a few others. The endocrinologists mentioned above use this medication almost exclusively. The T4 chemical has a long half-life in the human body. In general, the pharmacokinetics of these chemicals says that it takes 4-5 half-lives for these chemicals to reach what is known as ‘steady state.’ The half-life of T4 is about 7 days. Therefore, it takes 4-5 weeks to reach the new steady state level. That is why most doctors will repeat thyroid labs in about a month. Now, some patients will start to feel better in a fairly short period of time. However, Sally actually start to feel worse! The thyroid function is low and the patient is taking thyroid replacement. Heck, their TSH is even coming down! This must mean that the problem is in the patient’s head and not actually with the thyroid. I certainly can’t say what happens to all patients like this but some of them find me and come to my clinic. 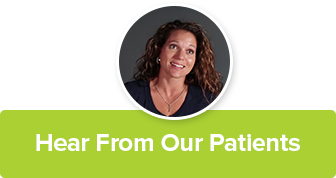 If you want to hear a testimonial from a patient then check out LaShana’s story. By the time the patient finds our clinic they are often extremely tired, frustrated, and fatigued. They thought they had a thyroid problem and were so excited to start a solution. Yet, they occasionally start feeling worse. Let me tell you, I often get an ear full! No worries, it is why we are here! They will tell me their story while I listen with a bit of a smile. I’ve heard this story so many times that I can often finish it myself. When they tell me that they started feeling worse when they started their thyroid medicine I have the pleasure of educating them about how thyroid hormones work and what is going on when you take T4 only medications. There is often a lightbulb that goes off once I explain why. If you want a more detailed explanation of what follows read my post on The Mismanaged Thyroid here. Thyroid Stimulating Hormone (TSH) is actually not a thyroid hormone at all. It is a hormone released from the anterior pituitary gland and its job is to stimulate the thyroid gland to produce thyroid hormones. The amount of T3 & T4 circulating in the blood is detected by the brain and tells the pituitary gland (via thyrotropin releasing hormone, or TRH) to make more if the levels are too low. When the hormone levels (T3 & T4) are too low, TSH levels will go up to stimulate more production. Conversely, when hormone levels are too high then TSH levels will be lower. This is called a negative feedback loop. I was taught in Medical School that TSH is all I needed in order to appropriately evaluate thyroid function. That is true if everything is working correctly. The reality is that there are simply too many factors at play for this to be accurate. However, TSH is an important tool in comprehensively evaluating overall thyroid function. T4 is the primary chemical released from the thyroid gland. In fact, 90% of thyroid hormone released from the gland is T4. The problem is that it has very little thyroid activity. T4 is a ‘pro hormone’ meaning that it has to be converted to T3 in order for it to be the active hormone. The body does this through deiodinase enzymes which remove an iodine from the T4 molecule creating T3. The T3 then goes inside the cell, binds to the nucleus, and does what thyroid hormones are supposed to do. If the thyroid mainly makes T4 then why does taking T4 make some patients feel worse? Good question, and I would argue that it is one most physicians can’t answer. Well, what is the other 10% that the thyroid gland makes? Your thyroid gland does inherently produce some T3 but most of it is converted from T4. You take Synthroid (T4 only) which is not really active. This T4 has to be converted to T3 in order to be effective. But, remember that your body makes 10% T3. When you take Synthroid (T4 only) you will take enough to drive TSH levels down. As TSH goes down you make less thyroid hormone – 90% T4 but 10% T3. If you have a problem with T4 to T3 conversion (can happen for many reasons) then you very well may feel hypothyroid. Fortunately, there is a little backup with the 10% that the thyroid produces. But when you take T4 only (Synthroid) you suppress that little bit of T3 production. It is similar to “water, water, everywhere but not a drop to drink.” You’ve got lots of thyroid hormone in the form of T4 but you can’t make the form you need tricking your system into thinking things are good when in reality the cells are starving for T3 thyroid hormone. But, of course, you have to consider why the system isn’t converting T4 to T3 as well. But that will be for another day. If this post stuck a nerve with you or someone you know then give us a call, we’d be happy to help!